Size:Pack of 3 Maximizes body and bounce with collagen. Conditioning system! Maximizes body and adds bounce. Weightless Conditioning System to Restore All 5 Attributes of Healthy Hair: Manageability; Shine; Softness; Bounce and Body; Strength. Formulated for added bounce and body. 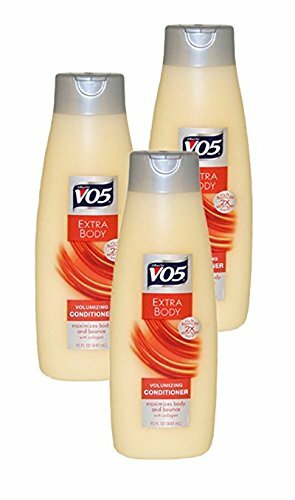 Exclusive 5 vitamin complex. Safe for color-treated hair. This product not tested on animals. Collagen works to enhance and create the vibrant bounce that you want for your hair. Leaves clean scent as you volume your hair from root to tip and shiny and strong hair. 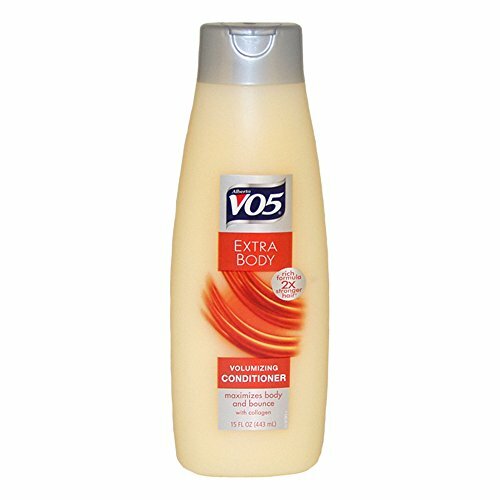 VO5 EXTRA BODY is all about fullness and volume - that little 'extra' you need to keep your hair looking and feeling gorgeous. 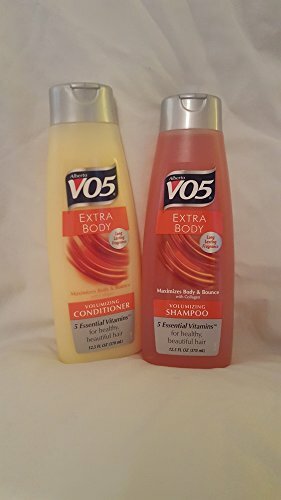 Enjoy the clean, iconic scent as you volumize your hair from root to tip with this shampoo and conditioner. 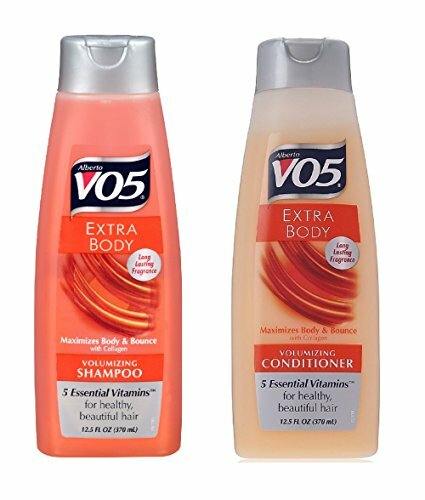 VO5 has a singularly vitamin rich formula that when used as directed helps to nourish, moisturize and hydrate hair, maximizes body and bounce leaving hair looking and feeling fuller. Maximizes body and bounce with collagen. 5 essential vitamins for healthy, beautiful hair. Contains vitamins e, h, c, b5, and b3.